In a quiet corner of Tel Aviv Ben Gurion airport, sits IAI Elta Electronics, 737-400 radar testbed. The first thing you notice is its pointed nosecone which houses the radar. Then you start to count the antennae and you realise that this is no ordinary 737. It has been used to develop various systems including maritime patrol signal intelligence, image intelligence using synthetic aperture radar, AEW and Flight Guard, a commercial aircraft anti-missile protection system. The photo below shows the aircraft at its base with the nosecone removed and a selection three other nosecones laid out beside the aircraft for attachment using the purpose built rig. The choice of which nosecone to fit will depend upon the type and size of radar being test flown. You will also notice that there are also two fuselage farings on pallets ready to be attached. These could be to house a direct infrared countermeasure (DIRCM) system such as that described here. If anybody knows please let me know! 4X-AOO with a selection of three different nosecones, two fuselage farings and the nosecone change rig attached. 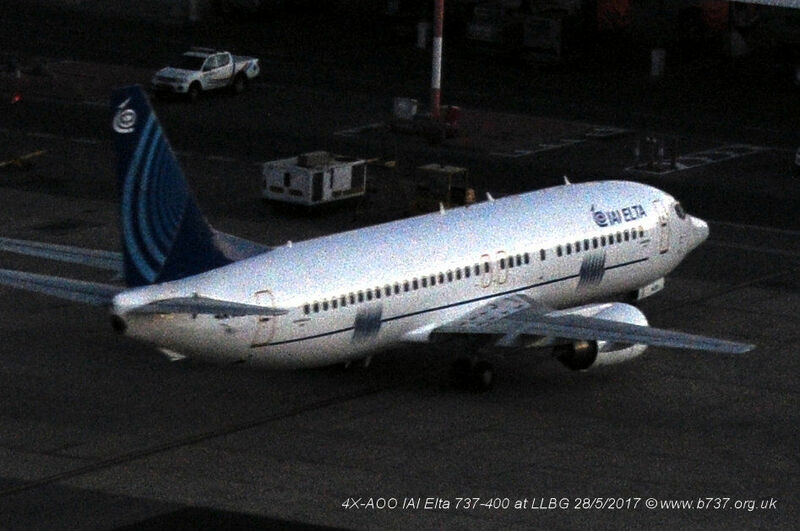 The first IAI Elta testbed was a 737-200A, 4X-AOT, that they acquired in 1979. The aircraft was equipped with Elta's EL/M-2022 multimode radar, which is fully integrated with an underfuselage AMOSP FLIR and EO turret. The camera's line of sight can be displayed on the radar display, or can be cued onto a target by the radar. At customer request, a laser rangefinder or designator could also be incorporated. The aircraft is also fitted with a comprehensive Comint suite, with V/UHF antennas above the fuselage and below each wingtip, and with a P-Band antenna farm below the centre fuselage. The Comint system on board the aircraft is similar to that fitted to the Israeli Defence Force's operational Boeing 707 Elint platforms, but has an extended frequency range and is more highly automated, making it more operator-friendly and allowing better analysis of intercepted signals and enhanced tracking. The same Comint system is fitted on a UAV, which flew several successful demonstration missions last year. The aircraft is not fitted with Elta's Phalcon AEW system, but can be fitted with a representative operator console to demonstrate Phalcon's functionality. The aircraft also had a prominent Satcom antenna above the forward fuselage, allowing imagery and data to be transmitted back to base or to a force commander. 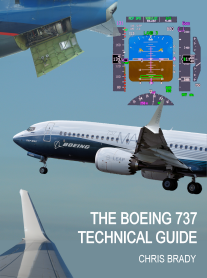 Baruch Reshef, deputy director of Elta's marketing and sales division, says the 737 testbed was used to demonstrate and develop systems for more than 20 years. The aircraft's maritime patrol capability was demonstrated during the capture in January last year of the Karine A, a freighter that was allegedly carrying arms to the Palestinian authority. The aircraft's long-range surveillance systems, including radar and the AMOSP sensor turret, were used to identify the ship at long-range and then to track it. The aircraft has also been used on real world SAR (Search and Rescue) missions. In 2012 they replaced the 737-200 with a 737-400 4X-AOO.